Interview with Yasumasa Yamada (SNK Sound Team). Yasumasa Yamada was one of the most important musicians at SNK. You might not be familiar with the name, as he was always credited under aliases (e.g. YAMAPY-1) and collectives, but his legacy is a huge one. During his time at the company, he balanced responsibilities such as composition, sound design, and sound programming on numerous fighting games. 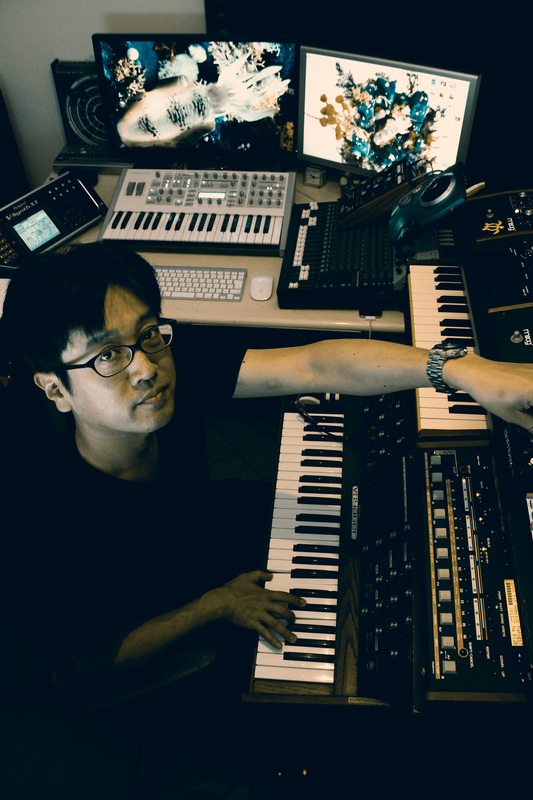 He led the sound for the Art of Fighting trilogy and Samurai Shodown titles, between contributing to the arranged albums, rhythm games, and, of course, the King of Fighters franchise. 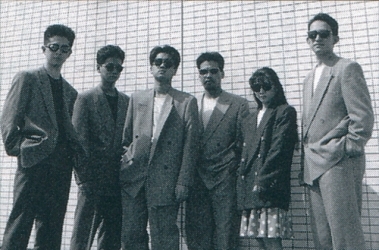 He even designed Neo Geo’s logo sound and was involved in producing the sound driver for the Hyper Neo Geo 64. This interview gives a special insight into one of most incredible sound teams to have ever existed. 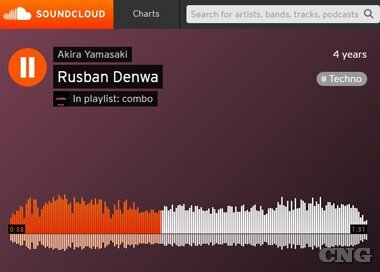 Yamada gives special insight into creating game audio for SNK’s fighting games, giving emphasis to the importance of sound design and programming. 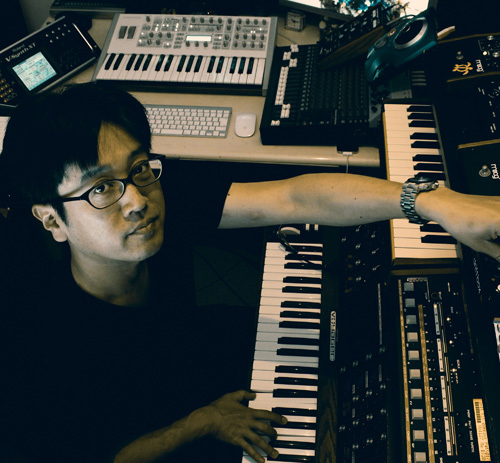 He goes on to discuss his current work, including game music, techno units, and television commercials. Many thanks to Tetsuya Shibata, who made this entire interview possible. ● Yasumasa Yamada, it is an honour to talk to you today. First of all, could you tell us about what led you to become a game sound creator? What is your musical background, education, and influences? I initially had a job related to interior design, as it was pretty rare to have a job as a game music creator back then. But upon hearing they were taking applicants for the SNK sound team from a friend, I took the chance during a day off work to go to an interview and send them a demo tape. After all, I had enjoyed computer games and making sounds through synthesizers ever since I was child. If I hadn’t had that day off from work, most likely I wouldn’t be who I am now. As for the music that influenced me up to that point, it would be techno and dance tracks, as well as movie soundtracks. Everything I know about music was self-taught, so I actually didn’t know how to read scores or develop chords when I first entered the SNK sound team. ● To our knowledge, your first works at SNK were Burning Fight and Robo Army. 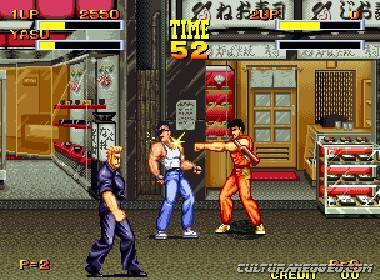 How did you approach these early beat ‘em ups musically? How did you overcome the technological limitations of arcade sound boards of the day? I initially made the sound for Arcade and Famicom games that were released long ago. Back then, we needed simple programming knowledge in order to make the BGM data, so it wasn’t musical at all: we had to input by hand hexadecimal values such as $0A, $08 and $0C, as well as some assembly code. I had to greatly imagine the timing and pitching of the individual sounds and then input their data as hexadecimal numbers. So to make sound effects and music was always through numeric figures. From the time of the Neo Geo onwards, it became much more enjoyable to make game sound. This system enabled sampling for the creation of sound effects, as well as data conversions for the BGM. But we still had very few channels available, so we had to use them the best we could in order to make the BGM as colourful and expressive as possible. For example, if there was silence at some point in the bass track, we would use place drum sounds in another track and join them to better convey the rhythm of the song; and we would copy a melody track into another track, slide it away in timing, and reduce its volume in order to make a delay effect. Since it was necessary to rely on such tricks to use these few channels effectively, when it finally came the time to input the data as hexadecimal numbers, we needed to tune it very carefully, so it was also necessary to have knowledge on FM sound sources for making synthesizer patches. I think these were the most basic skills that the members of the sound team needed back then. 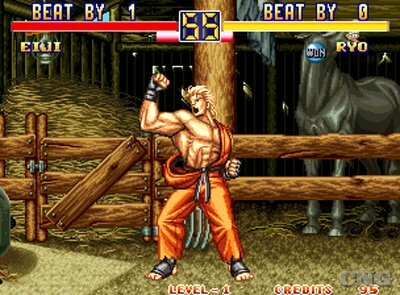 ● Following the success of Fatal Fury, SNK made a line of highly successful fighting games. Could you discuss how your approach to creating character-based stage themes? Which of the character themes you created are your favourites? When I made the songs for the characters, I ended making them from the sound I imagined for them from their profiles (e.g. if they were pro-wrestlers or ninjas) and from the background of their stages (e.g. if it was a city or the natural environment of Bali Island). And like I explained in the previous answer, I also needed to keep in mind the limited number of sounds I had at my disposal. My favorite character theme would be the one I made for Ryo Sakazaki from Art of Fighting. 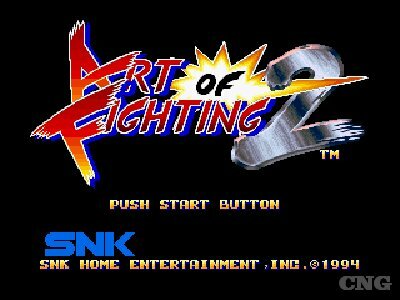 ● As the lead composer of the Art of Fighting franchise, you innovated with the rhythmically-focused compositions on Art of Fighting and jazz variations on Art of Fighting 3. Could you elaborate on how you approached the soundtracks for this franchise Would you agree that you rejected the typical melodic rock sounds of SNK’s other fighters in favour of more individual approaches on these titles? Since I liked techno and ethnic music a lot, I think I embodied everything I liked myself when I made the music for Art of Fighting. We could say that I also had some difficulties, namely searching for a way in which I could make a sound with a specific kind of pressure, and for that I had to research day and night into sampled sounds that would impact listeners. It was also challenging to investigateot how to make data that would produce sounds in low frequencies. And while it’s true I had an approach that tended more toward Jazz and Blues sounds for Art of Fighting 3, I think it was because I had to keep in mind that one of the producers proposed making an arranged album for it, and it was given the green-light shortly later. In other words, I wasn’t the one who had the idea of making these songs as Blues or Jazz pieces. As for the question about why I didn’t take a melodic rock approach, it’s because composing rock pieces isn’t really my forte, so we could say I had to take such a unique approach out of necessity. ● You’ve also participated extensively in the Samurai Spirits, including leading the soundtracks forSamurai Shodown IV and Samurai Shodown 64. How did you develop the sound of these franchises musically and technologically? How did you approach the traditional Japanese stylings of these scores? For Samurai Spirits, I inherited the thorough world setting that Yasuo Yamate (alias TATE-NORIO) had made for the series up to that point, so I thought I should take a new approach for it. For the sequels of the series on the Neo Geo, I had to go in with the mindset of a sound programmer on how to play the sounds effectively. I researched the Japanese traditional instruments, and added the effects that would set the environment for the stages, such as the multiple wind sounds and bird chirps. For Samurai Spirits 64, we started working with a new piece of hardware [Editors’ Note: The Hyper Neo Geo 64 Arcade Machine], which also increased a lot the sound specs I had at my disposal. I was actually related with the development of the sound chip for this particular hardware for the manufacturer. It was about this time that we could add in an excellent sound font library for traditional Japanese instruments, so I finally could enjoy the luxury of adding long phrase samplings of sounds like shamisen and taiko drums. This allowed me to play the environment sounds together with the music in stereo, which allowed the sound to be more expressive than before. ● You were also part of the soundtracks for second to fourth instalments of The King of Fighters franchise. What was it like to be part of major collaborative efforts such as these? What were your personal responsibilities? 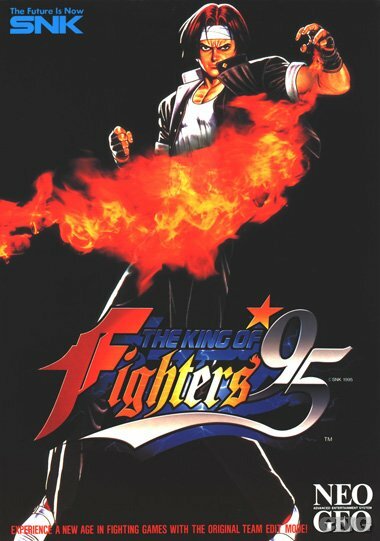 As the King of Fighters was a franchise in which the characters of several SNK games appeared together, the lead sound directors for each of these games made the themes for the characters of the games they worked in. 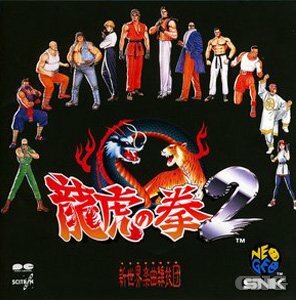 As the SNK sound team often had many composers and sound designers working on a single game, and I constantly worked on several things related to sound design, the number of composers and creators involved in the King of Fighters didn’t feel at all different from the other projects in which I’ve worked. For the second game, I helped several of the members of the staff with the creation of the sound effects. It was at this time that I began cultivating myself as a sound effect director. As for work in relation to the series I was involved in, I remember I was involved with the composition work for the themes of the characters from Art of Fighting, and I also made the vocal music for the character Athena for an arranged album. 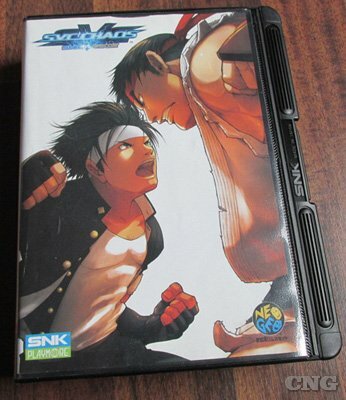 ● During your time at SNK, you extensively worked alongside other internal composers, including Yasuo Yamate (aka TATE-NORIO), Masahiko Hataya (aka Papaya), Hideki Asanaka (aka SHA-V), and Toshio Shimizu (aka SHIMIZM). Is it correct to assume there was a lot of cooperation and friendship within the SNK sound team? Something all the members of the SNK sound team had in common was that they worked both as BGM composers and sound effects creators, in addition to having some simple programming knowledge. Therefore, the lead sound director would assemble a team depending on the game, and the team would then go on to work together on the sounds. We all loved music, so it’s natural that we would encourage each other and work together in our projects. There were even times in which project team members would be asked to help with another project right as the deadline for the work they were originally assigned to was about to come up! ● Have the team kept in touch since the collapse of SNK? Yes, I still continue keeping in contact with the staff members from back then. We even go out and eat together every now and then. 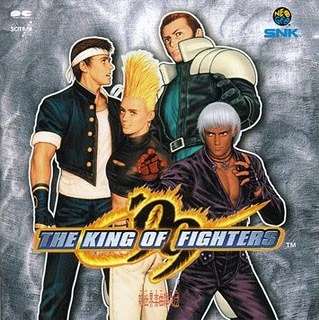 KOF 99 arranged CD cover. ● SNK developed an extremely impressive discography during your time there. How closely were you and the rest of the team involved in the soundtracks, arranged albums, and live performances of SNK’s music? This was how the sound team prepared soundtrack albums:Right as we were finishing development in a game, we took the most fundamental BGMs, the sound effects, and the voice collections, and sent them to the label. They were recorded in the media we had available at the time, which back then was DAT tapes. Aboutarranged albums, generally the same person who was in charge of composing the original pieces rearranged their own work and wrote a new version as a sheet music score. They had to be present at the recording studio from when the professional musicians played the new version of the piece up to the point in which the sound engineer made the final mix. However, there had also been times in which we had to outsource the arrangements because of circumstances that came up, for example during the making of some orchestral and remix albums. As for the live performances, I just arranged the pieces for the professional musicians and gave them the scores for them to play. ● You personally contributed music for the arranged albums to the Art of Fighting, Fatal Fury, and Samurai Shodown series. What was it like to rearrange your work without the usual technological and other limitations? Which arrangements are you most proud of? As we all were able to better express our music when we worked in arranged albums, I think we all enjoyed it a lot. As I don’t get tired from listening to a song over and over, my style of making music for arranged albums is listening to the original song a lot in order to introduce new developments and think up of parts in which I could replace the instruments. The genres I personally like the most are techno and house, as I enjoy the pounding sounds made by the synthesizers a lot. 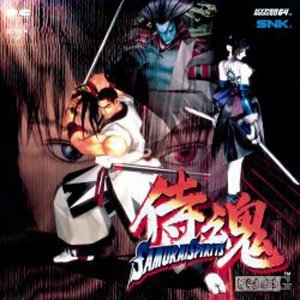 I’ve taken part in the making of many arranged albums, but the one I liked the most was the first one in which I was involved, Art of Fighting 2, as well as Samurai Spirits 64. ● Did being credited under pseudonyms (e.g. YAMAPY-1) or collectives (e.g. Shinsekai Gakkyoku Zatsugidan) ever prevent you from receiving individual recognition? This occurred because, while the members of the SNK sound staff were artists, they are also employees of SNK. Some of us still did the best we could in order to get exposure from the work we made creating sounds for game development. Art of Fighting 2 and Samurai Spirits 64 arranged CD covers. 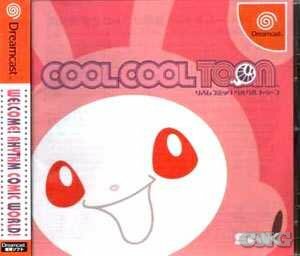 ● Shortly before the collapse of SNK, you led the soundtrack for the often-underlooked rhythm game Cool Cool Toon. After years of focusing on fighting games, what was it like to work on a title where music drove the gameplay? How did you approach writing the compositions and integrating them into the game? 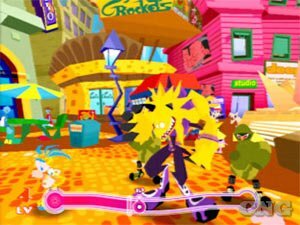 As Cool Cool Toon was a rhythm game, different from the fighting games SNK had made thus far, it was an extremely fresh project to me. This time, I based the tempo on the music that was used by motion-capture movies made at the time. I made some original pieces of music by following the timeline that marked the development of the melodies and the decisive accents. But since the button presses and the music had to work together to control the movements of the characters (for example, the phrases of the music would get cheerier if you pulled of several dance combos in a row, while they would become sad if you failed a lot), I had work alongside the programmers to get the right approach for the game. However, I couldn’t offer more than four songs for this project. The work on it and its direction were mostly left up to the younger and most skilled members of the staff. The ideas for the initial gameplay scheme, as well as the concept of its sound, were thought up in a rather business-oriented manner. ● You left SNK shortly before it collapsed at the start of the new millennium. Could you share this experience? How did you bounce back and become independent through the studio Ayanehonpo? When I left SNK, it coincided with the departures of several other staff members from the company. I was the first one, but several other members of the sound team also left SNK. I don’t really know what the other members of the staff thought when they made that decision. But for me personally, I had already worked for eleven long years for SNK, and I was a little tired of it. I didn’t particularly think out what I’d do next, though I wanted to travel abroad, go fishing everyday, or start up a band to make the kind of music that I actually liked. And thus, I spent a peaceful year like this. I don’t think I’ve ever had such a long time off in my entire life. But it was about that time that other ex-SNK staff members made their own company and began getting some game makers within their ranks, and thanks to my connections with them, I managed work again as a game sound creator. However, I also began working creating sounds for television commercials, thanks to several people I met during my time off, and thanks to that it was that I could make Ayanehonpo Studio. While this all might have happened because of my time off, I was very lucky that these new encounters happened and the next guidepost in my life appeared. ● As you say, you’ve also increasingly moved into original and non-game projects. Could you tell us more about what Vegesta and Hoshiageru are? Vegesta provides education about nutritious and local Japanese produce to parents and children. It is a collaboration between creators such as myself with professionals that work in the food industry. For this production, I worked as a sound creator and producer, in addition to mixing sound effects that would be heard during live events. As a matter of fact, the producer of Vegesta was actually the game director from Samurai Spirits back when I worked in SNK. I don’t think I’m exaggerating when I say we’ve worked on a lot of projects together. Hoshiageru on the other hand, was a project in which I worked alongside a CG creator, who was friend of mine. We projected CG movies during the live events, for example children’s festivals. Once again, I worked as a sound creator and producer on it. ● In other musical activities, you have also created the unit Denshi Teishoku. Could you tell us more about this project and how it ties in with Pocketful? Pocketful is a band from Sweden, but they once requested that they remix songs I made for Denshi Teishoku for one album. As they are a band with awesome vocals, I discussed about taking this collaboration further together with another composer friend of mine. Thanks to that, we got to show Japan their vocals by getting them to sing in a television commercial. It was thanks to the Internet that I could collaborate with foreign artists in this way. ● Since going independent, you have focused your attention on to sound design both for hit video games (e.g. Steel Battalion, SpikeOut: Battle Street, God Hand) and pachinko machines. Could you tell us more about how you approach sound design for video games and pachinko machines alike these days? After I left SNK and became a freelancer, the first game sound work which I did was the sound design for Capcom’s Steel Battalion. As I like science-fiction mechas and robots, this project was very fun and stimulating for me, and working on it also made me develop my interest in sound design. ● Could you tell us more about your philosophy on creating sound design? In general, I don’t make much distinction in the creative process of making music versus sound design. When I principally composed music, every time I wrote a song, I decided the tones for each part and expanded the image of the theme accordingly. Over time, the tones of the instruments and the space they affect became extremely important to me. At a point, even making these tones felt just the same a making sound effects; after all, both processes just felt like making a space of sounds to me. One thing I enjoyed doing was combining, with the help of synthesizers, the abstract images of sound effects with more pop-like sounds like those from the cartoons. There are similarities to the way in which electro music is made in this regard. I think that I gained an interest on sound design precisely because I like synthesizers so much. ● You also reunited with SNK Playmore on several new projects, namely SNK vs. Capcom: SVC Chaos, NeoGeo Battle Coliseum, and The King of Fighters 2003. Could you tell us about your involvement in these works? It was similar to how it was when I worked in the SNK sound team. For the first of these, SNK vs Capcom: SVC Chaos, I was invited to working the sound effects by Yasuo Yamate (aka TATE-NORIO). [Editor’s Note: He also worked on The King of Fighters 2003 in a similar context]. SVC Chaos (japanese), and KOF 2003 (USA). ● While you have principally worked as a sound designer in recent years, you have continued to compose some background music. In particular, could you share your experiences on Picross 3D andHalf-Minute Hero? For Picross 3D, since it turned out to be such a great puzzle game, I worked on making all the sounds for it. It was a very fresh project because I had to make both the music and the sound effects for it, but that allowed me face a new challenge head-on. As for Half-Minute Hero, I was invited to work on it from a game director that once worked for SNK, and I was among the many game sound creators who wrote background music for that game. While I had began working as sound designer soon after I left SNK, making this game felt different from all the other ones in which I worked before; noticing how completely different everything was when it came to sound technologies and my own skills made this a very precious and interesting experience to me. ● Finally, in the last month, it has been announced that you have formed a partnership with Tetsuya Shibata’s Unique Note. What is the background to this relationship? Are you primarily working on pachinko projects together or full-scale video games too? While I was working on a certain project, I had the chance to meet Mr. Shibata from Unique Note. Having been started by him, Unique Note has gathered a lot of extremely talented and wonderful members, so being able to work on a project with them was extremely encouraging. I think the reason this opportunity happened was because of how much I work in sound design. Right now, we’re working together on a lot of pachinko-related works, but I think we’ll make all sorts of collaborative projects that aren’t limited just to that at some point. ● Many thanks for your time today, Yasumasa Yamada. Is there anything else you’d like to say about your works past and present? In addition, do you have any messages to say for your fans and SNK aficionados around the world? I had so many important experiences back when I worked for the SNK sound team. 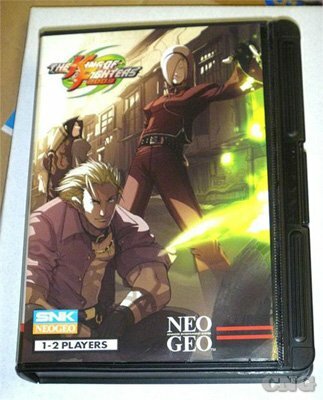 All of it was thanks to the fans of SNK games around the world. It’s been over ten years already since I left SNK, but I’m really glad I had the chance of answering the questions for this interview. I’m sure that the fact I had these experiences is what will let me continue making sounds for all sorts of things, beginning with those of games. Thank you very much! And I hope we might continue to count on each other from now onwards!